Zumba® is for kids in grades K-5. This class is a high energy, contagiously exciting dance workout specifically designed for children. Classes are designed with kid friendly music, movements, and routines. Zumba for Kids is a perfect fit for children and it creates an environment of excitement around being healthy and active! This class helps children making friends, get active after school, and love dance fitness. Zumba instructors are certified Zumba Kids instructors through Zumba International, which certifies them to teach 4-12 year old children. Instructors receive further training through NOVA Kids in Motion lead instructors. Hip Hop Dance is for kids in grades K-5. This is also a high energy, exciting dance class specifically designed for children, but with an emphasis on Hip Hop music. Classes are set up with kid friendly music, movements, and routines. Hip Hop Dance is a great fit for children and it creates an environment of excitement around being healthy and active! Dance instructors are certified Zumba Kids instructors through Zumba International, which certifies them to teach 4-12 year old children, or they are experienced hip hop instructors. 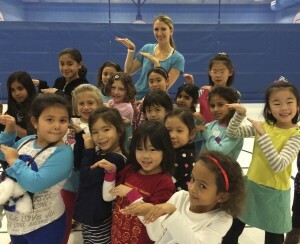 All instructors receive further training through NOVA Kids in Motion lead Zumba and Dance instructors.